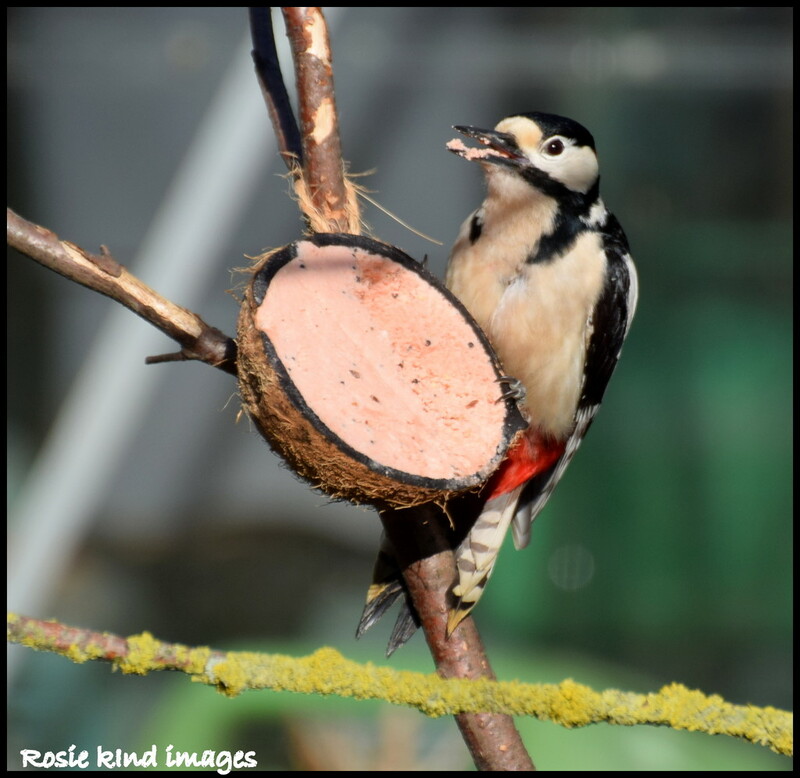 I just walked over the kitchen and saw Woodie tucking into the new coconut full of suet. He gave me an opportunity to get some photos of him. I liked this one with his suet covered beak. So greedy - great shot ! Such a happy one, wonderful capture. He has got really stuck in here. Great shot. Does look like he's deep diving into that suet.